Chief Election Commissioner Justice (r) Hamid Ali Mirza will on Monday hear an important case filed by a PPP activist against Sindh Chief Minister Qaim Ali Shah for his alleged incompetence to run the province’s affairs. A senior ECP official told Pakistan Today that May 9 had been fixed for the first regular hearing of the case filed by PPP activist Dr Muhammad Ali Thalo against Shah. The hearing would be conducted in Karachi. 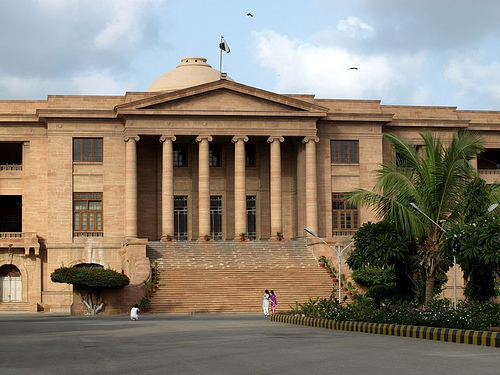 In his application, Thalo sought the removal of the Sindh chief minister for being over-aged and medically unfit to run the province’s affairs. The ECP official said the plaintiff stated that Shah usually lost his temper during public meetings and remained mentally absent during assembly sessions. In support of his claim, the plaintiff also referred to the age of retirement for civil servant, which is 60 years. Dr Thalo is a former student affairs coordinator to Benazir Bhutto and according to him, he was elected the chairman of Sindh Doctor Itthehad in 1996 with the support of then prime minister Benazir Bhutto. During his weeklong stay at Karachi, the chief election commissioner will also hear three cases of fake degree-holding lawmakers.